Cyber War 资料之七 - 网络作战 - 知远防务论坛 ----学术性|资料性|研讨性！ - Powered by Discuz! On today's battlefields computers play a major role, controlling targeting systems, relaying critical intelligence information, and managing logistics. And, like their civilian counter-parts, defense computers are susceptible to hacking. In September 2007, Israeli cyber warriors "blinded" Syrian anti-aircraft installations, allowing Israeli planes to bomb a suspected nuclear weapons manufacturing facility (Syrian computers were hacked and reprogrammed to display an empty sky). One of the first known cyber attacks against an independent nation was a Russian DDOS (Deliberate Denial of Service) on Estonia. Since it can rarely be traced directly back to the source, the DDOS has become a common form of attack, with Russia, China, North Korea, the U.S., and virtually every other country in possession of a formidable military having launched low-level DDOS assaults. Analysts across the globe are well aware that any future large-scale conflict will include cyber warfare as part of a combined arms effort. 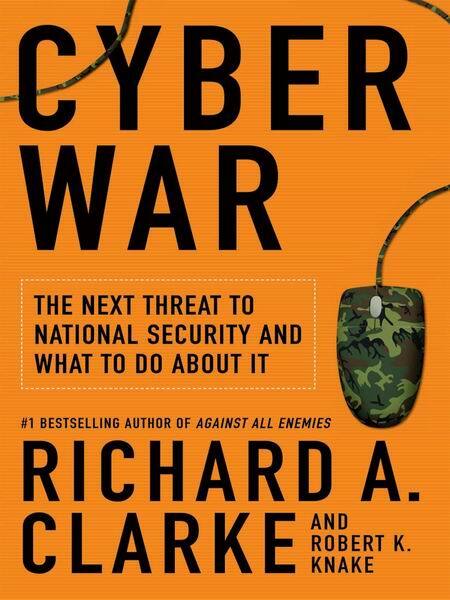 Clarke and Knake argue that today's leaders, though more computer savvy than ever, may still be ignorant of the cyber threats facing their national security. Copyright &copy; Reed Business Information, a division of Reed Elsevier Inc. All rights reserved.